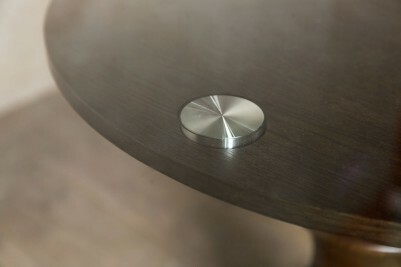 The ‘St. Omer’ round glass dining table is an elegant piece of furniture that would suit vintage style and contemporary interiors. 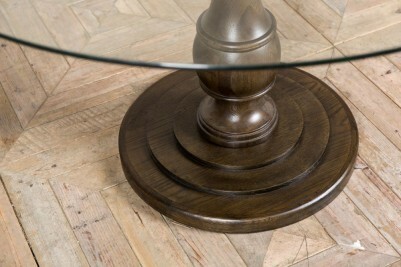 The table has an oak base that is dark in colour, in traditional 1960s style. The base is a turned pedestal leg design. 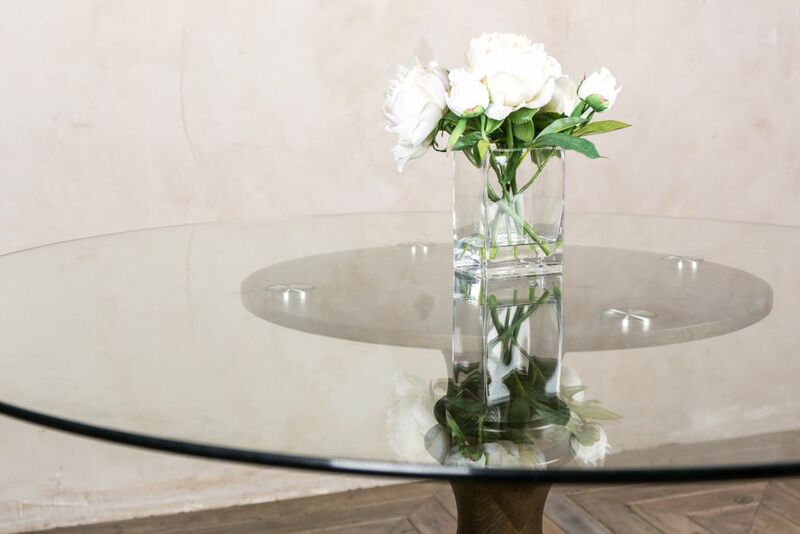 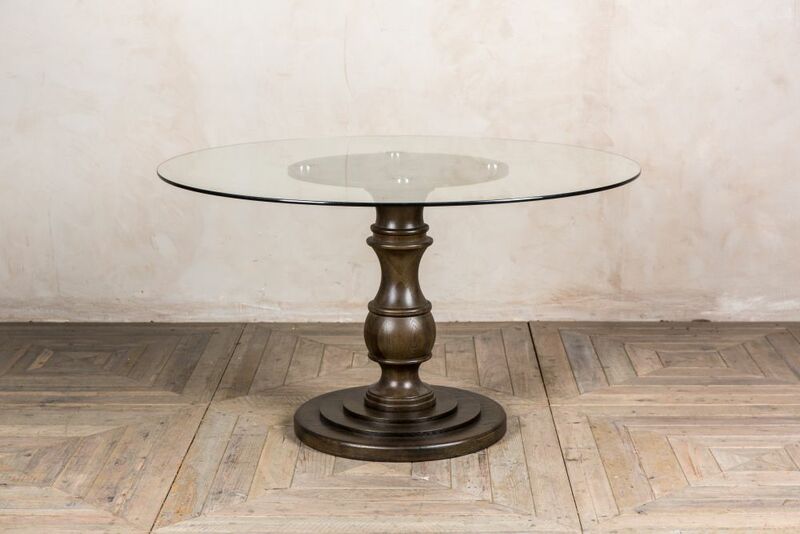 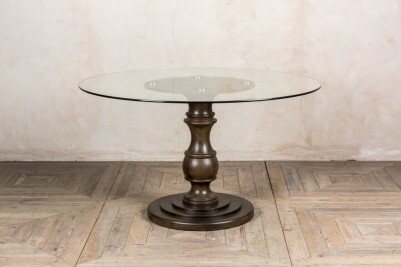 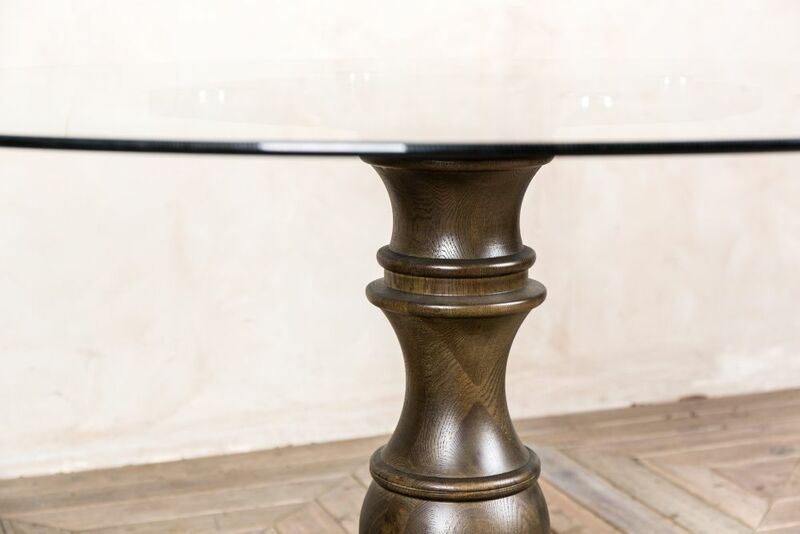 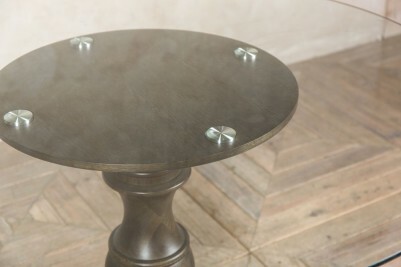 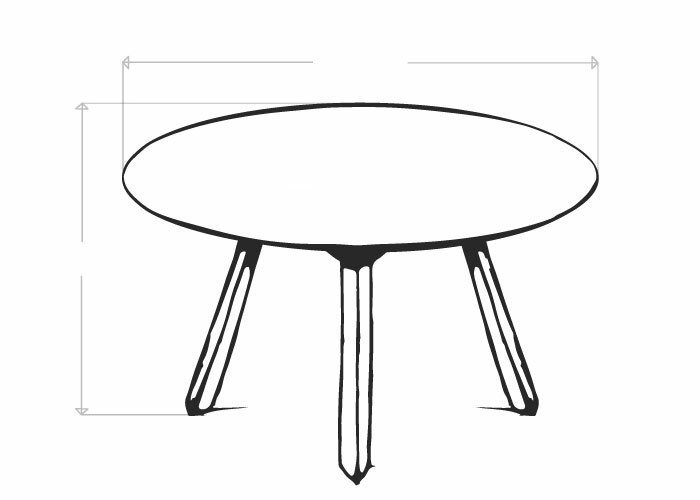 The table top is glass and circular, giving the table a sophisticated look. 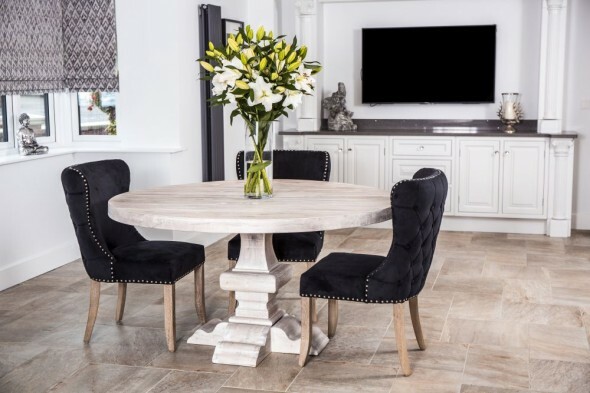 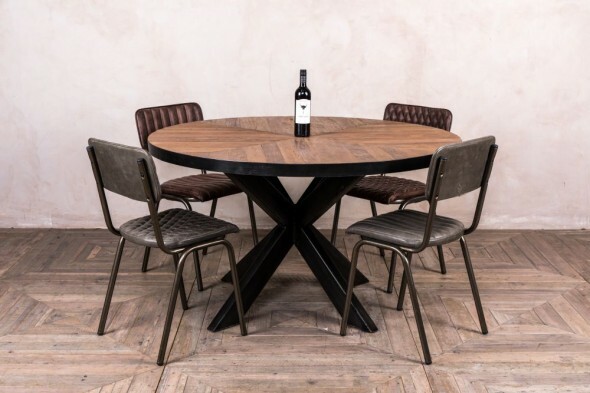 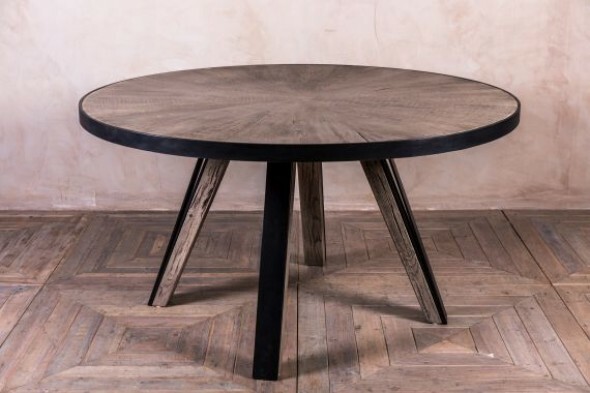 The table would look fantastic with our ‘Lorient’ dining chairs, as the dark wooden legs match the table base well. 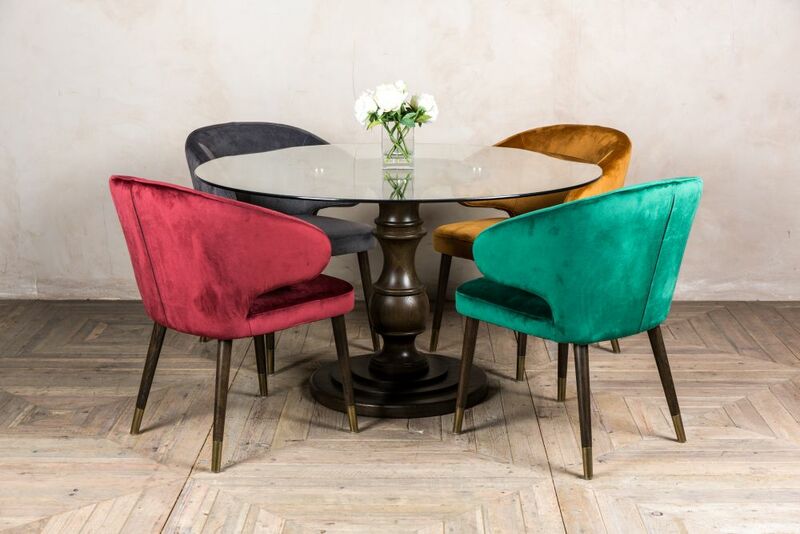 The ‘Lorient’ chairs pictured are not included in the price but are available to purchase separately.